Summer is finally here - so soak in the much-needed vitamin D and take advantage of patio season in all its glory by enjoying a cocktail...or two! A great place to start is with 2014's exciting summer drink trends that are warming up Toronto's nightlife. 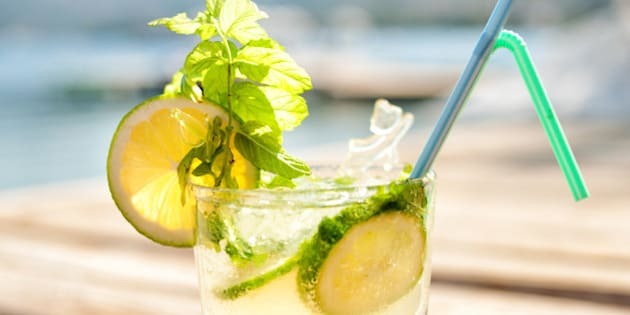 Summer is finally here - so soak in the much-needed vitamin D and take advantage of patio season in all its glory by enjoying a cocktail... or two! A great place to start is with 2014's exciting summer drink trends that are warming up Toronto's nightlife. Bitters: Those looking for an authentic, Mad Men-era cocktail are re-exploring bitters - alcoholic ingredients flavoured with herbal essences and added to cocktails in small quantities to enhance flavour. Rum: Often called a "mixologist's best friend" due to the endless varieties, styles and flavours - rum is an incredibly versatile alcohol with a range that pairs well with both sweet and savoury dishes. Adding to the allure, high-quality rum is cheaper than mediocre whiskey. Anticipate rum-based drinks to pop up at restaurants everywhere. Carbonated Cocktails: Classic cocktails like the mojito and cosmopolitan are being updated for the 21st century with the addition of soda water or tonic. A lighter, refreshing take on flat cocktails, carbonation adds an aromatic and intense flavour to drinks. Tea-infused Beers and Cocktails: Move over Long Island iced tea and Baileys and make room for unique caffeine and alcohol hybrids. This natural component adds an extra fragrance to cocktails and beers that is sure to titillate your taste buds.